Here is my July online income report. Once a month I recap how my blog and online business performed from the previous month. July went by really fast, like usual. We were able to take some time off and get a quick vacation in, and it was amazing. It felt really good to take time off away from the laptop and get offline. This has definitely been an interesting year when it comes to work! There's a lot of things going on and while I've been able to stay pretty focused, I do feel like I've been going uphill for several months and am ready for a longer work break. At the same time, I'm really happy with how my work life is going, so I can't complain. Welcome! I'm glad you're here. I've been reporting my income reports for a little over three years now. I started my blog in January 2015. My most popular income report is still my very first one, which dates back to April of 2015. 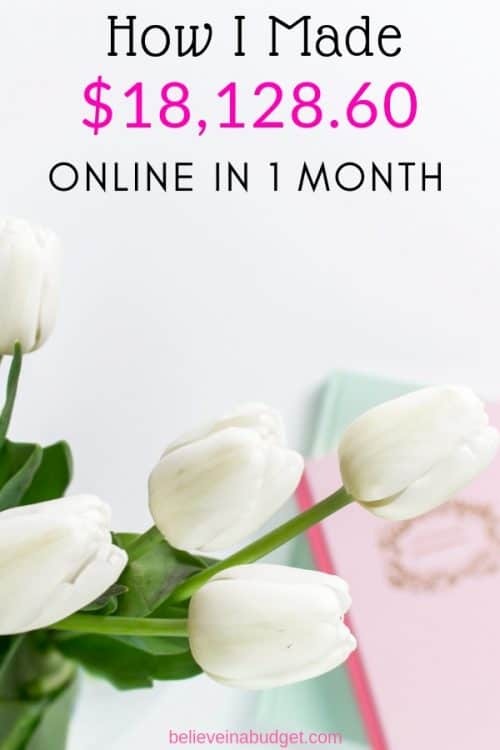 My first income report is still incredibly relevant, as many new bloggers tend to experience the exact same emotions, struggles and joy that I did! If you are a new blogger, you can read my first income report to learn how I made my first $60 online. If you haven't started blogging, this blog post will provide you with a list of blogging ideas, tips and teach you how to set up your blog in 15 minutes. It took me about four months to earn any income from my blog. That was the hardest four months ever because I was so new to blogging and wasn't sure what I was doing. Earning that first paycheck was the best feeling ever and confirmed that my hard work was starting to slowly pay off! Since I started blogging and reporting my income reports, my income has overall steadily grown from the very beginning. I'm at an exciting point with my income reports because I can look back at 2015, 2016 and 2017 and compare how much my income and expenses have changed. By going through all of my online income reports to see what worked, what stressed me out and what big decisions I was making at the time has been HUGE for me. This blog is like an online data diary for me, so I'm really glad I have been documenting everything for so long! I also love the shift my blog and business has made. As things have changed online or with blogging, I've focused on being able to change as well. For example, most of my income in the early days came from Pinterest VA freelancing and Pinterest management. I have always used ads on my site and done sponsored posts when I felt it was a good fit for my blog. Today my income primarily comes from affiliate income and my own products and courses. It wasn't an easy shift; it took almost an entire year to shift my focus and accomplish this. I'm really glad I documented my journey though, because readers ask me about this all the time! I would venture far enough to say that many people get their start online as a virtual assistant, and then start or continue to focus on making their own brand profitable too. It's pretty awesome to look at every single income report over the past few years. I've been publishing monthly income reports for a little over three years now. I feel like I can read every single one of these reports and remember exactly where I was in life and what I was doing at the time. 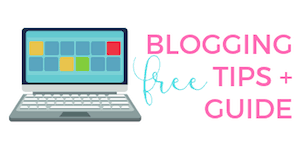 If you are a new blogger or an experience blogger that has writer's block or getting frustrated – hang in there. I think I've been through all the emotions, ups and downs, and then some. The first few months were the hardest and after that, it got a lot easier for me! I previously have been breaking down my expenses individually, but have started lumping things together. Similar to my income reports, I have to be careful about over-sharing since I have different contracts with different vendors. To make sure everyone is happy, this seems like the best method moving forward! In addition to the above expenses, I also have pre-paid expenses that I have already paid for annually. The reason I switched over to annual plans compared to monthly plans is because of the savings. Pre-paying with an annual plan can save a lot of money! I don't include the services below in my monthly budget because I've already paid for them upfront. I do set aside funds for these expenses each month so I can be prepared when their various renewal dates come up. Bluehost – hosting company I started with in 2015! Tailwind – my favorite Pinterest scheduler I use for myself, recommend to clients and for all my students. Teachable – where my courses are located. SamCart – this is the checkout page I use to sell my courses and products, as well as pay out affiliates. I set aside money each month that go towards my annual expenses. That way when an annual payment is due, I already have the funds set aside. Having a buffer for my business is really helpful! This allows me to be financially ready when payments are due without having to take money from that current month's income. Aside from starting my blog and selecting a theme, I had very few if any expenses for almost my first year of blogging. I think I spent around $100 for my first year of blogging! As my income grew, I was able to invest in more tools (all the ones mentioned above) one at a time. Finally, this doesn't include things like health insurance or taxes. I was putting 30% aside each month. I've adjusted that number to between 30-35% moving forward to account for extra expenses and to put more in my business savings account. I also have to plan for things like savings, retirement, my HSA account, making sure I spoil my dogs, etc. Ever since I started my blog and to this day, my main source of traffic is still Pinterest, followed by Google and then Facebook! Pinterest allows me to earn a great living online. By using Pinterest, I can send traffic from Pinterest directly to my website, blog posts or my products. I did so well with Pinterest at an early time, that I became a Pinterest virtual assistant and then started a Pinterest management company. 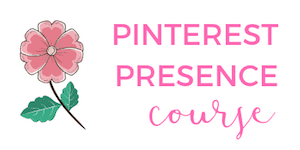 As a Tailwind ambassador, which has an official partnership with Pinterest, I have been really fortunate to hone in on my Pinterest skills and stay up to date on all the Pinterest trends and changes. Grab this FREE guide below on how your blog or business can grow and make money using Pinterest. Use this 20 Step Checklist to make sure your Pinterest account is optimized and ready to go. Sign up for Pinterest Presence, which teaches you how to drive traffic back to your website and is full of technical training and marketing strategies. It's how I went from 5,000 monthly page views to over 200,000 monthly page views in roughly six months! If you want to learn how to use Pinterest AND become a virtual assistant, check out Become a Pinterest VA TODAY! In addition to this blog and Pinterest VA, I decided to start a third business. Why? Well, partly because I'm crazy. But I was also looking for a new side hustle that I could try out and see if I was any good at it. My new business is a passion project and I'm excited to see if it produces any revenue. It's something I never thought I would do, so it'll be interesting to see what happens. I'll also be sharing the highs and lows of what it's like working on this side project! I don't have any major goals with this new side hustle project and like all things I do, I plan to give it plenty of time to see how it does. One conversation my friends and I tend to have over and over again is about how busy we are online. Personally, I already have this blog and PinterestVA.com. Combined, both these online platforms keep me busy full time. I think what draws me in to side hustle is the need to plan for my future, stay busy and do what I can now. Blogging, assisting students, working with brands/clients, assigning work to VAs and handling all the things with running a business is hard work. My to-do list is never ending, which is a good thing. My friends and I have a lot of things in common. We all want to run strong businesses, help others, improve our personal lives, plan for retirement and more. We work hard so we can have a better life! 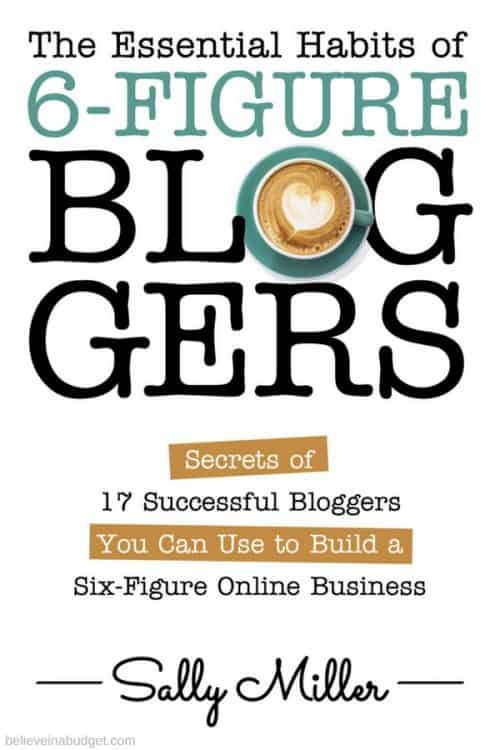 If you are interested in learning how I started my blog and became a six-figure blogger – along with 16 other amazing six-figure bloggers – check out this book. I was recently asked to take part in a book that was about how I grew my business, steps I took to succeed and challenges I faced. The other bloggers in the book were asked similar questions and it was interesting to see how many questions we all answered that were totally different and some that we all answered that were totally the same. My favorite part is that so many of us have different online niches, which goes to show there are so many different ways to succeed online. What's even more exciting is that the book has become a #1 best-seller on Amazon, which is so exciting and fires me up. If you need some blogging or online business motivation, this book is definitely worth checking out. I hope you enjoyed reading my July online income report! I am amazed at the income progress. I can’t imagine the amount of work that has gone into building your business. This encourages me to keep on working hard. Keep up the good work. Thanks! It’s been really great tracking all my income since the very beginning and showing how much it can grow over time. It’s definitely been a lot of work, and my life has really changed for the better the past few years!! Thanks! 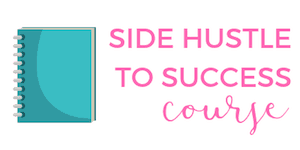 Publishing the first income is always SUPER exciting – you got this!! Hi Kristin, you are such an inspiration. I visit this blog every month to read your latest posts, especially your income reports. I have a small blog and every time, I read these I get super pumped to hustle. Like you are, I love to be in hustle mode all the time 🙂 Congrats! Thanks! I like reading income reports too, they are super motivational!